City Farm & Animal Manager Apprentice at Poole farm, closing date: 2 January 2019. Outdoor Science through the Seasons, 17 January 2019, Buckinghamshire. 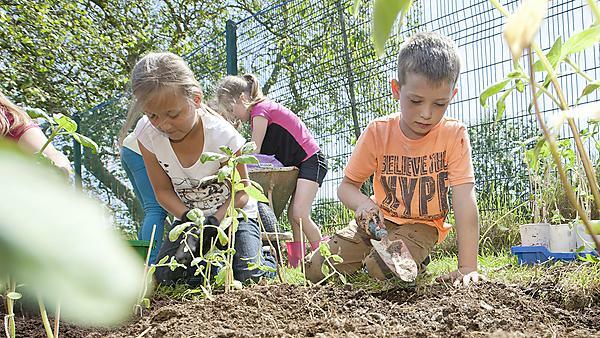 Improving Outcomes in Literacy and Language EYFS to Year 6 Outdoor Learning and Sustainability Conference, 8 March 2019, Buckfast Abbey Conference Centre. Booking form. Sustainable Intensification & Valuing Nature in Dialogue: enabling researchers to work across environment and farming policy interests Workshop, 5-7 March 2019. Peninsula Research in Outdoor Learning (PRinOL) One-Day Conference, 18 January 2019, Plymouth. PRinOL flier. Natural Musicians with Chris Holland, 2 February 2019, East Sussex. Connecting children with local nature: UK research showcase & networking event, 17-18 June 2019, University of Brighton. Preventing Fatal Incidents in School and Youth Group Camps and Excursions. Online the Storytelling Year Course. The Open University, deadline: 21 January 2019. Advertisement for prospective graduate student, Penn State College of Health and Human Development, Deadline: 15 January 2019. Please see flier for more information. Poole Farm Community Forum - Farming in the city - the reality and the opportunities, 22 November 2018. Special Issue, call for papers: Journal of Outdoor Recreation, Education, and Leadership, Deadline: 1 May 2019. Environmental Volunteering and Health and Wellbeing. James is up in London next Friday speaking at a NHS conference with Judith White from Defra. It is part of linking the #iwill campaign with the year of green action, so the focus for our part of the meeting is linking young peoples environmental volunteering with health and wellbeing benefits. If anyone has any specific projects, examples, information they can send them to Dr James Szymankiewicz. We're hiring – could you be our next NHS Forest coordinator? Deadline: 29 October 2018. Invitation Bioregional Learning Centre, 20 November 2018, Plymouth. Peninsula Research in Outdoor Learning (PRinOL) One-Day Conference, 18 January 2019, Plymouth. We will be re-launching the Outdoor and Experiential Learning Research Network as a regional hub of the IOL national network of research hubs. The network’s new name will be Peninsula Research in Outdoor Learning (PRinOL), and we invite you to its inaugural event to be held at the Rolle Building at the University of Plymouth, 10am – 4pm. In the morning Chris Loynes (University of Cumbria), Anne Finlayson (CEO of Sustainability and Environmental Education SEED), and Sam Kendall from the Eden Project have agreed to deliver keynotes; Iain Stewart has also agreed providing he isn’t filming! In the afternoon we’ll have workshops around health and wellbeing, youth and intergenerational work, a progression model of outdoor learning and Plymouth as a maritime city. Our aim is to get practitioners and researchers together to learn about the work currently being undertaken in the South-West, and to discuss avenues for potential collaborative projects. The cost is £15 per person, to include coffee, tea and lunch. Outdoor Learning Conference, 18 January 2019. Please save the date of 18 January, when the Outdoor and Experiential Research Network will be re-launched as the Peninsula Research in Outdoor Learning network at the University of Plymouth! We will be celebrating our new status as the south-west regional hub of the national outdoor learning research network, which is supported by the Institute of Outdoor Learning and led by Chris Loynes at Cumbria University. We’ll have keynotes in the morning and workshops in the afternoon – and look forward to seeing you there. Research Seminar 'Risky Play'. 30 October 2018. Utrecht, Netherlands. ISGA conference. 16-18 November 2018. Yokohama, Japan. The Natural Musicians Training Course at Trill Farm 2018 tarining course. 28-30 September 2018. Excellence & Attainment Through Outdoor Education. 24 January 2019. Edinburgh. Evaluating and supporting increased environmental social action by young people. Closing date: 12 October 2018. Slapton Research Seminar 2018, 24 November 2018, Slapton, Slapton Ley Field Centre and Nature Reserve hereby invites proposals for 10 or 20 minute presentations from people of diverse backgrounds; including all levels of academia, amateur naturalists, citizen science and practitioner enquiry on a wide range of topics relevant to Slapton, spanning the natural and social sciences, including education. Abstracts of a maximum of 200 words should be submitted by the 1 September 2018 to: research.sl@field-studies-council.org. River Dreaming: A Journey in Active Environment Citizenship, 29-30 September 2018, Totnes & the Dart River. Wild Tribe day at the beach enjoyed by all! Sustainability and Outdoor Learning Conference, 8 March 2019, Buckfast Abbey Conference Centre. NHS Forest Newsletter June 2018. All past articles from AJOE/JOEE are now available online via our Springer site. Poole Farm Community Forum, 26 July 2018, 16.00-18.00, Plymouth, UK. International Adventure Conference 2019, 17-21 June 2019, Dumfries & Galloway, Scotland. Poole Farm Woodland Rangers Holiday Club. Please vote for Polli:Nation in the National Lottery Awards. Celebrate International School Grounds Month! Valuing Nature Annual Conference 13 - 14 November 2018, Museum of Cardiff, Wales. Full details will be available from the Valuing Nature Programme website. Bi-national PhD Fellowship, Montpellier, France & Bremen, Germany. Learning outside formal education: opportunities and threats for philosophy-inspired practices, A seminar led by Graeme Tiffany, 18 April 2018, 3-5pm, University of Plymouth. Summer School on Environmental Psychology, 18-21 June 2018, at the Baltic Sea - Island of Vilm. Denmark's first professor in primary school and out-pedagogy (Danmarks første professor i udeskole og udepædagogik), please use google translate to read. Might suit grad students, recruiting for a research assistant to work on a small research project involving people’s perceptions of the concept of nature connection. It would suit someone with a social science background capable of qualitative analysis. Pay is in the order of £14.35 per hour, + option to enrol in pension. Investigating the concept of nature connection. The term nature connection (and related terms nature connectedness, connection to nature, connectedness to nature) is used by people from a range of academic and practitioner backgrounds. There are a range of academic perspectives working in this field from those interested in environmental / sustainability issues, and environmental education, through to those interested in health / wellbeing and psychology. The term nature connection appears to be used and understood very differently by different communities of research and practice. In collaboration with academics from Cumbria and Sheffield Hallam universities, I am undertaking a survey of those engaged in research and practice related to nature connection to gain a better insight on what these different stakeholder communities understand by the term nature connection, including those who work with nature connection as a recognised construct as part of their work, and those who use the term more generally. Through an online survey system (Qualtrics) participants will be asked to define nature connection in 50 words. They will also be asked some background information to enable us to characterise the respondent (while remaining anonymous) and associate definitions with different groups of respondents: practitioner, academic, disciplinary background etc. Analysis of responses will be by content or thematic analysis, using NVIVO or similar. Through the work, the student will learn to use online survey and data analysis software, and develop a data base of relevant literature on the topic. The findings will underpin further work on a systematic review of nature connection in the academic literature, and a bid for funding for further research on the nature connection – health – wellbeing nexus. Can Your Child’s Phone Bring Them Closer to Nature? Outdoor Play and Early Learning Policy Research Invitational Symposium, 24-26 October 2018, Ontario, Canada. Abstract submission deadline: 26 January 2018.